Give the gift of Ulta Beauty. Delivered within minutes of purchase, or choose a future email delivery date. Choose from multiple designs or personalize with your own photo and message. 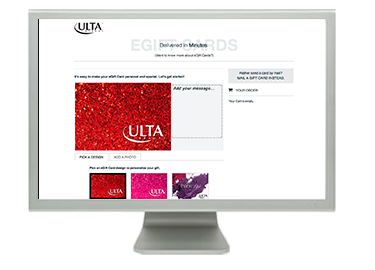 Your recipient receives a beautiful, full-color, personalized eGift Card that can be redeemed at all Ulta Beauty locations in the United States and at ULTA.com. Choose from three convenient shipping options. Personalize your gift with a greeting. 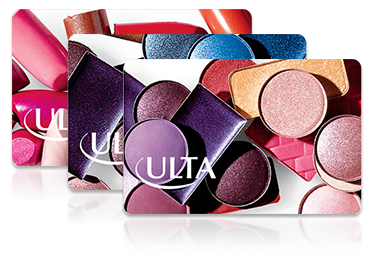 Gift Cards can be redeemed at all Ulta Beauty locations in the United States and at ULTA.com.